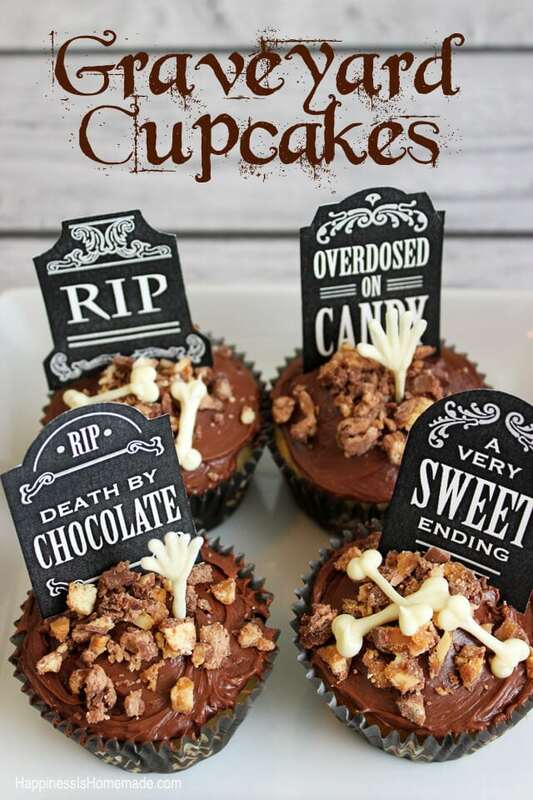 Halloween celebrations are right around the corner, and I’ve got two fabulous Halloween recipes that are sure to be a hit at your next party – Spooky Eyeball Punch and Graveyard Cupcakes (complete with bony hands trying to break free from their graves!)! I started by baking my favorite cupcake recipe and icing the cupcakes with chocolate frosting. Don’t worry about making the icing look pretty and perfect – it’s supposed to look like the ground anyway! 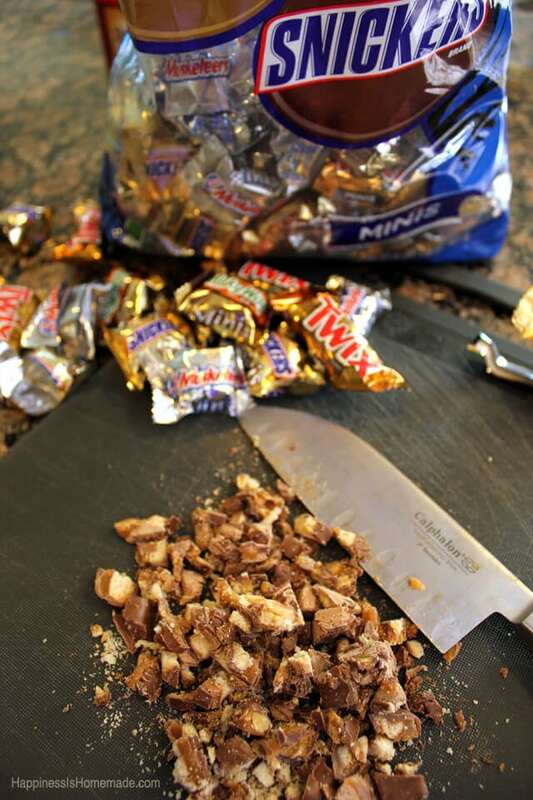 Chop up a couple of handfuls of Mini Snickers, Milky Ways, Twix and 3 Musketeers bars. You can find all of these flavors in the Mixed Minis big bag of Mars candy in the Halloween candy aisle (Download your coupons here!). I greatly prefer the chocolate to filling ratio of the minis the best, but really, any size will work. Sprinkle a small amount of the chopped chocolate on to the freshly frosted cupcakes. 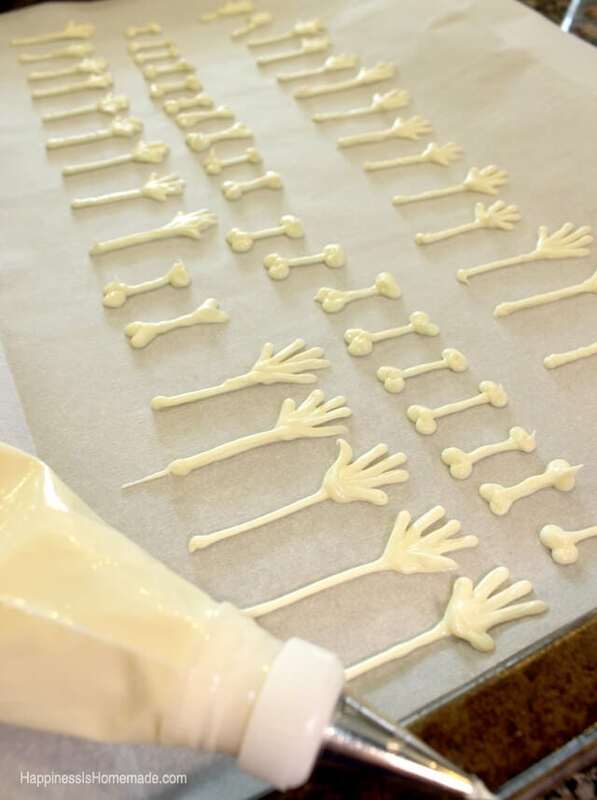 To make the skeleton hands and bones, simply melt white chocolate chips, and use a piping bag to draw the shapes on to a parchment paper lined baking tray. Place the entire tray into the freezer for about 20 minutes until the chocolate is completely solid. 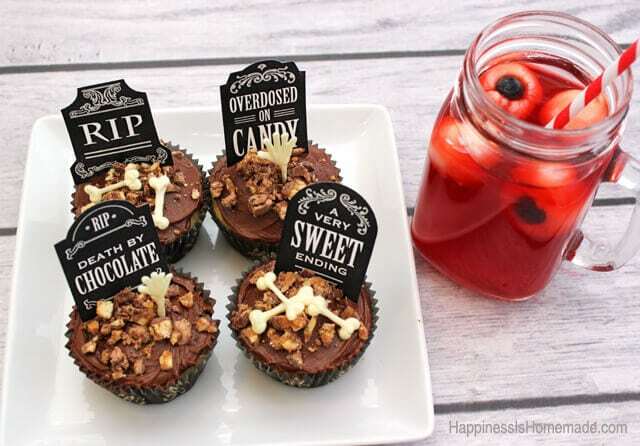 When the chocolate pieces are firm enough to handle, carefully peel them off of the parchment paper, and stick them on the tops of the cupcakes. The headstones are a free printable by Chickabug, and they are one of my favorites! 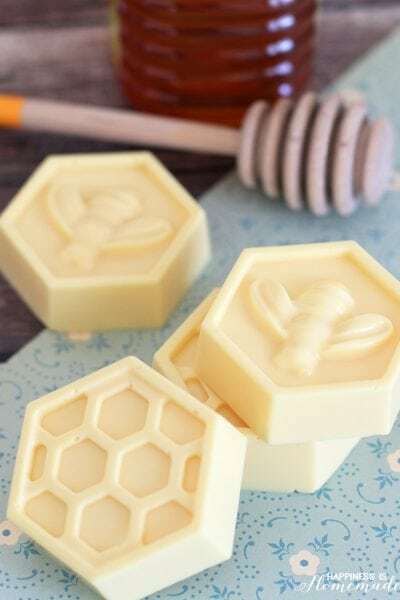 Just print them, cut them out, tape/glue a toothpick to the back side, and they’re ready to use! Easy peasy! I can’t get over how festive these look with such little effort! 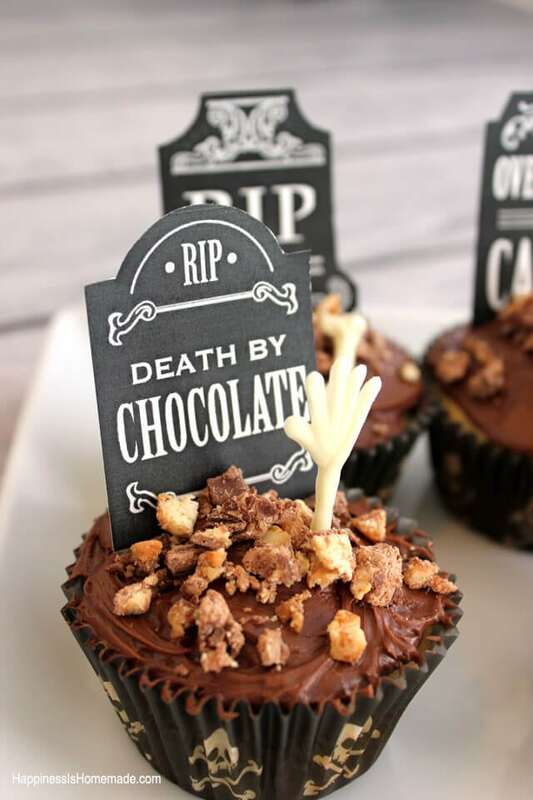 Of course, spooky cupcakes require something just as creepy to wash them down, right? I saw this idea on Flickr awhile ago, and I couldn’t wait to try it out for myself! I adapted these “eyeballs” to serve as ice in our punch, but they’d be just as gory-looking sitting out in a bowl as an appetizer! 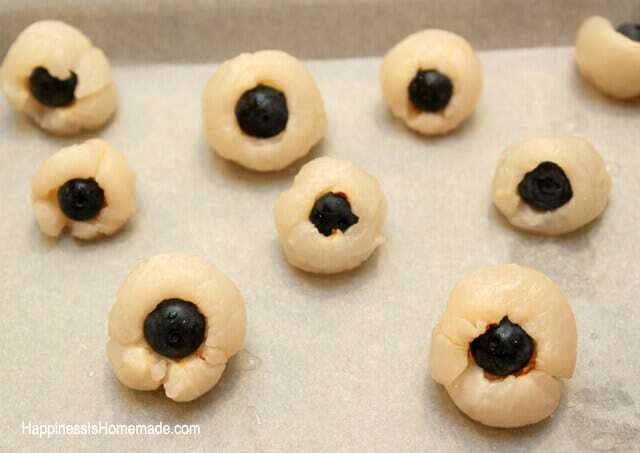 All you need to make the eyeball are a can of lychees (often found in the Asian foods section of the supermarket) and fresh blueberries. 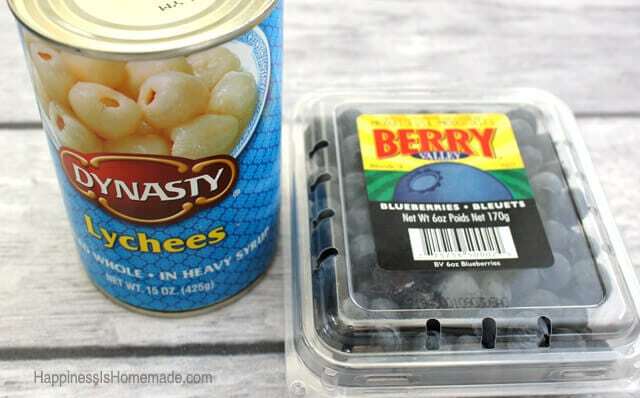 Drain the lychees and stuff each one with a blueberry. 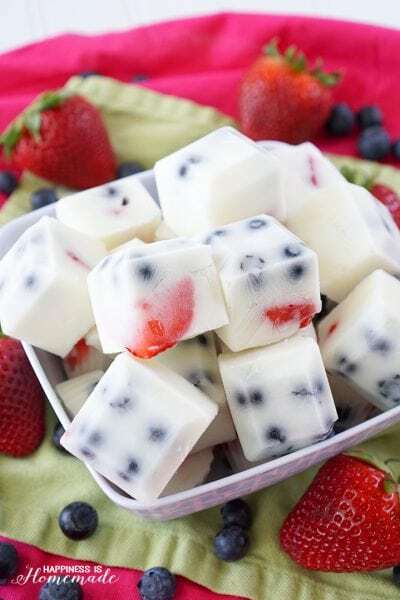 Freeze on a parchment paper lined baking sheet for at least 1 hour until solid and firm. 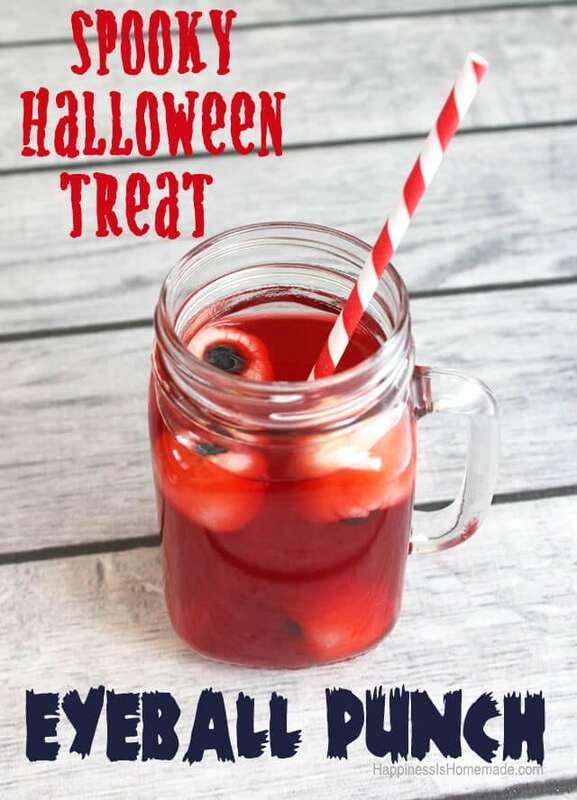 Mix 1 gallon of Hawaiian Punch Fruit Juicy Red with a 2-liter bottle of 7-up to create the Halloween punch. I added ONE drop of blue food coloring to the mixture to deepen the red color of the punch just a bit. Add the lychee “eyeballs” to the punch bowl or beverage glasses, and watch your guests squeal with terror when they see them! 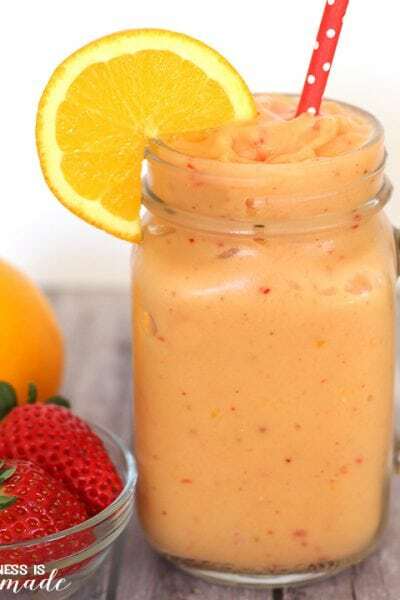 My boys were thoroughly impressed (and grossed out!) 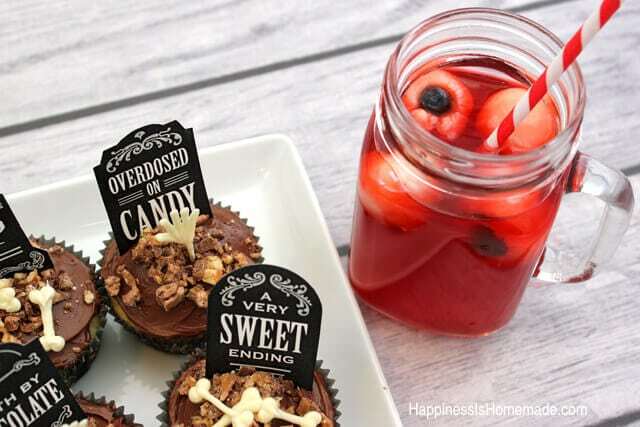 with the cupcakes and the eyeball punch, and we can’t wait to serve them at our next Halloween celebration! 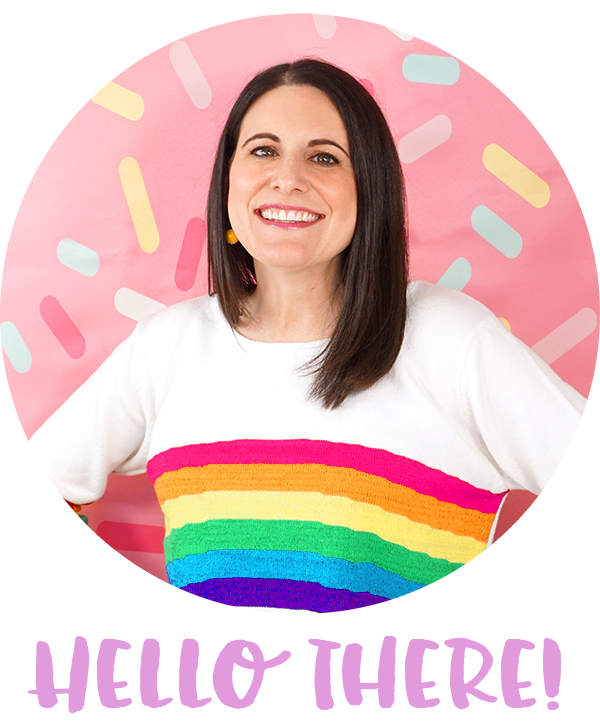 For even more Halloween treats and goodies, be sure to check out the M&M Mars Bright Ideas blog! 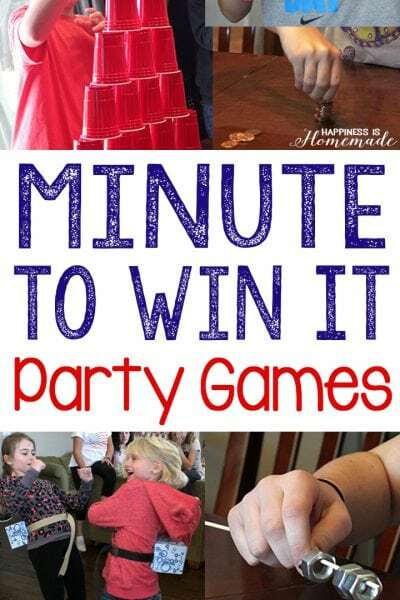 Linking up to: Show & Tell Wednesday @ SNAP! Wow! 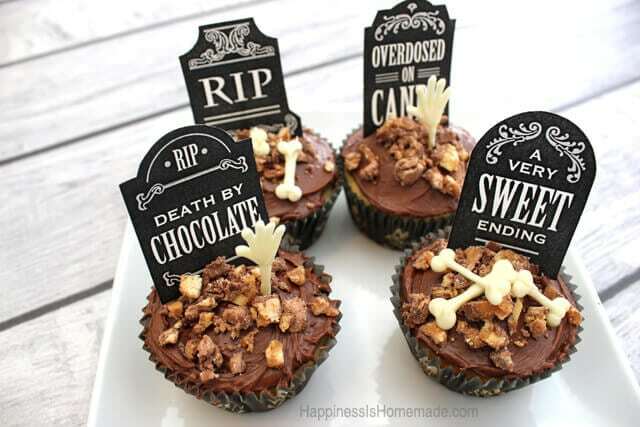 Love your idea for Halloween food. Those are the best eyeballs. 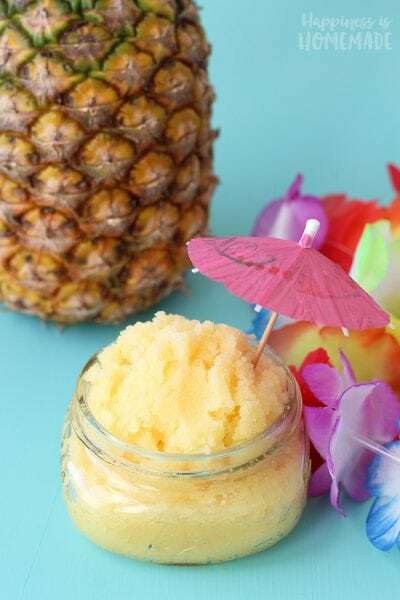 Lychees are perfect for this!